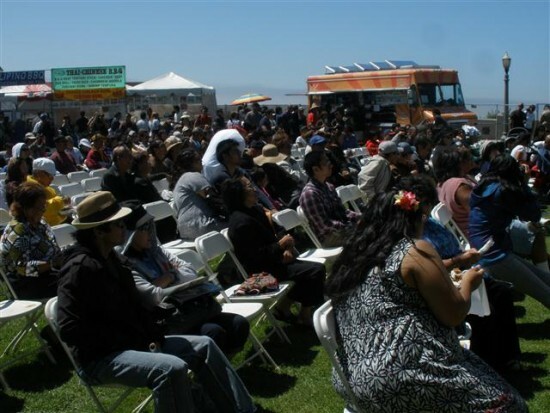 This past weekend was the Festival of Philippine Arts and Culture (FPAC), an annual festival on the second weekend of September that has been a tradition in the local Filipino American community for 19 years. And Filipino American in the truest sense, as it was and still is organized by second-generation, American born/bred Filipinos, focusing on the arts, as opposed to the more commercially-oriented “Expos” organized for older immigrant Filipinos. Though FPAC is a two-day festival, its sheer distance and admission price (A modest $7, though per day) has me only attending one day. Sunday is usually the busier day, with families coming in after church or people forgetting to come on Saturday, but are reminded of the festival via word-of-mouth. FPAC, though never boring, is still somewhat predictable: Entertainment acts (consisting of mostly people I know), Filipino pride t-shirt company booths, the possibility of either fog and cold weather or a clear, windy day, and running into people you haven’t seen since…last year’s FPAC. Rex Navarrete does Filipino food jokes for the crowd at FPAC. 2010 Winter Olympic Speed Skater J.R. Celski was in da house! 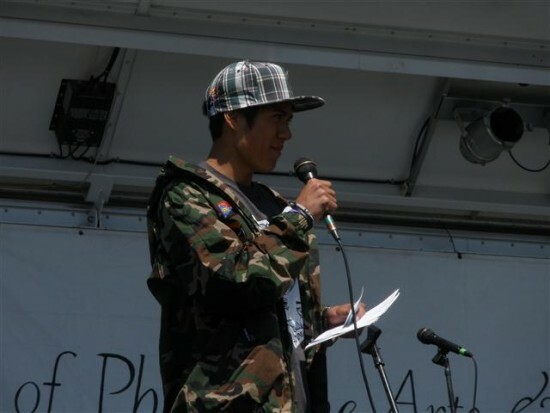 There were some new twists this year: Although this year’s festival was headlined by standup comic Rex Navarrete, and Fil Am celebs like Vancouver 2010 Winter Olympics Bronze Medalist J.R. Celski were in attendance, the real stars of FPAC 2010 were the Filipino food trucks! Manila, Manila, Manila, Manila Machiiiiine! 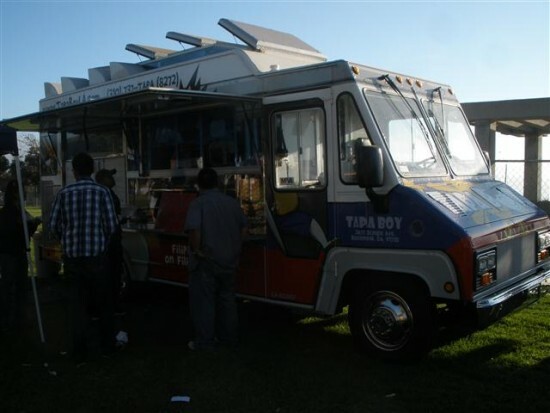 The Tapa Boy truck, sporting the likeness of a Philippine jeepney. 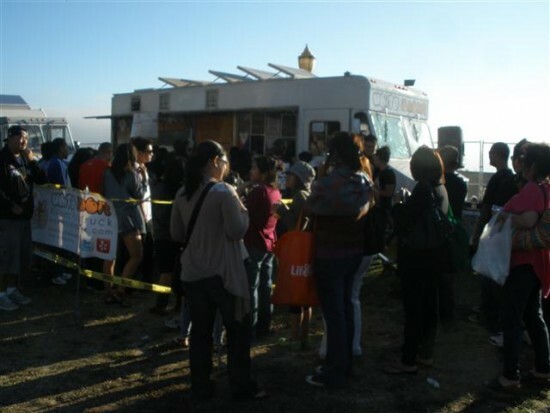 The White Rabbit Truck (named after a popular Chinese-made candy in the Philippines), brought a DJ and hosted competitive eating events. 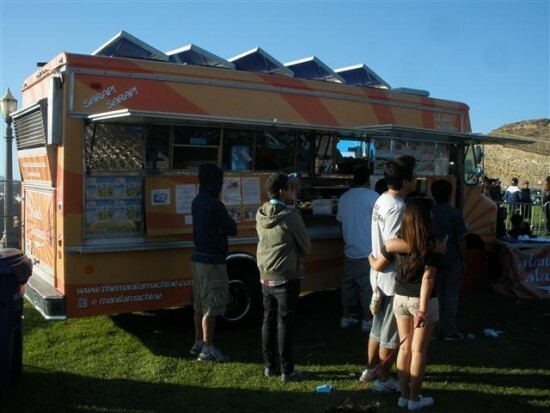 The bright-orange slpendor of The Manila Machine, the party atmosphere brought by The White Rabbit Truck and the jeepney-like adornment of the newly-opened Tapa Boy all wheeled into the festival grounds, forming a tasty trifecta of mobile Filipino cuisine. All three garnered long lines, and rightfully so. This was, as any person between 20 and 45 knows, the Year of the Food Truck. Even more, the whole foodie culture has blown up, with people posting food pics on their Facebook profiles and shows like Iron Chef and Anthony Bourdain’s No Reservations defining the edibly hip. 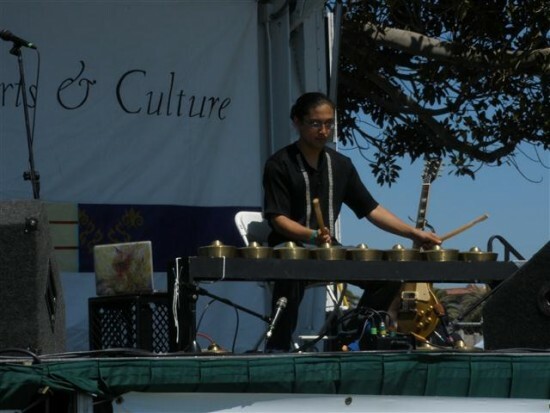 Ron Quesada rocks the gongs in his Kulintronica act. As mentioned, FPAC is a great way to catch up with old friends, but also to meet up with new ones as well. My main reason for coming on Sunday was to see the performance by the Bay Area-based Kulintronica, an act headed by musician Ron Quesada who fused Philippine kulintang music with house beats. As someone who did my own version of this a decade ago, I was curious to see the successor to the ethnotronic throne perform, and Ron was a very cool dude. I also met, through a mutual friend, Stephen Angeles, who is a news reporter for The Filipino Channel and covers all the Southern California Filipino events. Turns out Stephen is quite literally my neighbor, discovering he lives just a few blocks away from me in East Hollywood. I’ve been attending FPAC for many years in its 19-year history, starting with its second iteration in 1993 as a humble cultural fair in the LA City College quad in East Hollywood. The next year it moved down south to Cabrillo Beach in 1994 and due to distance I sort of lost track of it. I started attending again in 1999 when I took my e:trinity electronica/ethnic fusion act live and performed there every year until 2003. 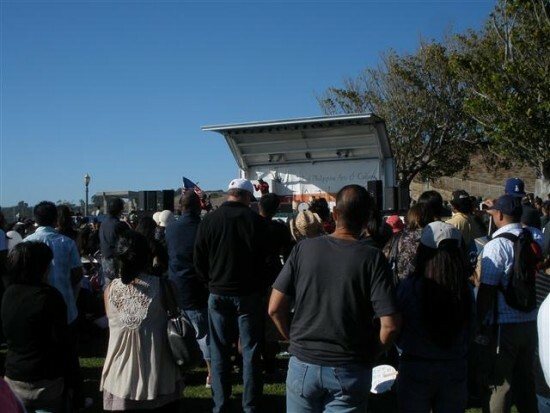 In 2001, because of renovations to Cabrillo Beach, the festival moved to its current digs at Point Fermin Park, mainly for its open space and ocean views (I also half-jokingly pointed out to organizers that it’s the closest geographical point in the City of Los Angeles to the Philippines). In 2004 and 2005, I brought my current band, Elson and the Soul Barkada to their main stage. After a personal boycott one year in ’06 (I’ll tell you over beers sometime), I attended again in ’07, doing music accompaniment for my friends at Room To Improv during their set. In 2008, the ever-incessant reality of budget cuts threatened to cancel FPAC, but they decided to carry on anyway. FilAmARTS, The then-East Hollywood-based nonprofit who organizes the festival, got some additional sponsorships from various companies and groups, such as the East Hollywood Neighborhood Council. This year and last were the only times I had to pay admission to the festival, At times being a performer for the festival can be extremely stressful, worrying about climate, crowd size and disposition, schedule changes, setting up your equipment, shortening your set, storing your equipment, etc. Being strictly an attendee is much more relaxing.